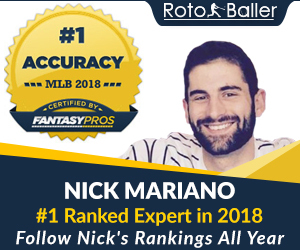 RotoBaller is proud to announce our partnership with FanDuel! 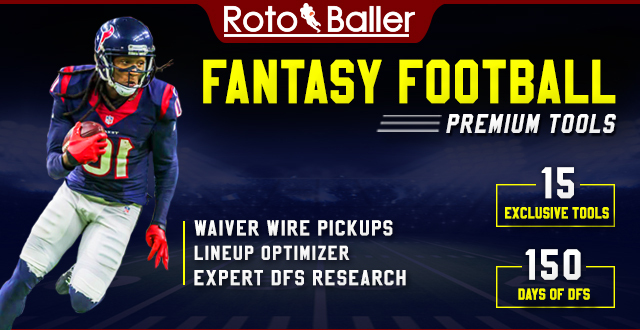 If you’re into fantasy football, you’re going to like Fanduel – where fantasy football leagues last just one week AND you can play for real money or just for fun. With cash payouts and a brand new team every week of the season, FanDuel takes fantasy football excitement to a whole new level. Enter any tournament or heads-up game today to see for yourself. This NFL season, they’re going to be paying out over $90,000,000. 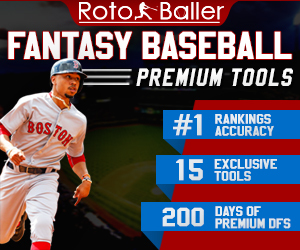 FanDuel has an exclusive offer for RotoBaller members. Register through the link below and you will be given entry to play in a $1500 Freeroll Tournament for Week 1 of the NFL Season. 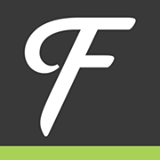 FanDuel will also give you a 100% bonus on your first deposit! Simply click HERE to register and enter the freeroll. You can edit your team until the first game starts on Sunday, and then watch the live scoring on FanDuel during the games to track how your team performs against the rest of the field. RotoBaller provides expert advice when it comes to daily leagues. We specialize in fantasy baseball daily league advice and analysis.